You Are Here: Home » QuickPress » Equity-Based Compensation: Are Non-GAAP Earnings Misleading? 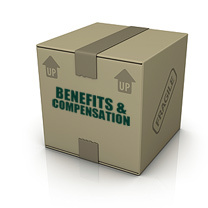 Stock-based compensation is used by companies of all shapes and sizes. Travis W. Harms, leader of Mercer Capital’s Financial Reporting Valuation Group, explains from a valuation standpoint, the importance of measuring its fair value. To read more about the results of this report in the Mercer Capital’s Financial Reporting Blog, click: Equity-Based Compensation: Are Non-GAAP Earnings Misleading?.